Electronegativity is a measure of how strongly an atom – in a molecule – is able to attract electrons to itself. 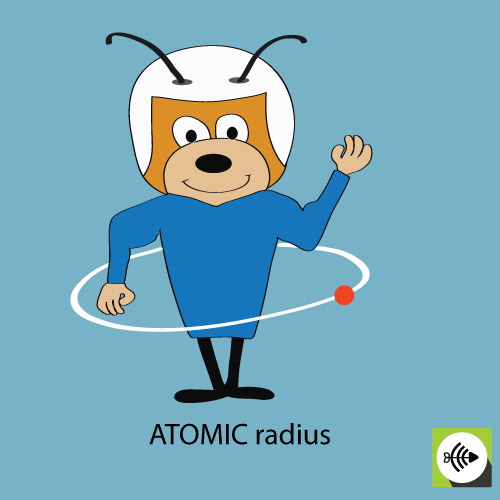 The atomic number is the number of protons in the nucleus of an atom. It determines the chemical properties of an element and its place in the periodic table. The higher the atomic number, the stronger the electronegativity. 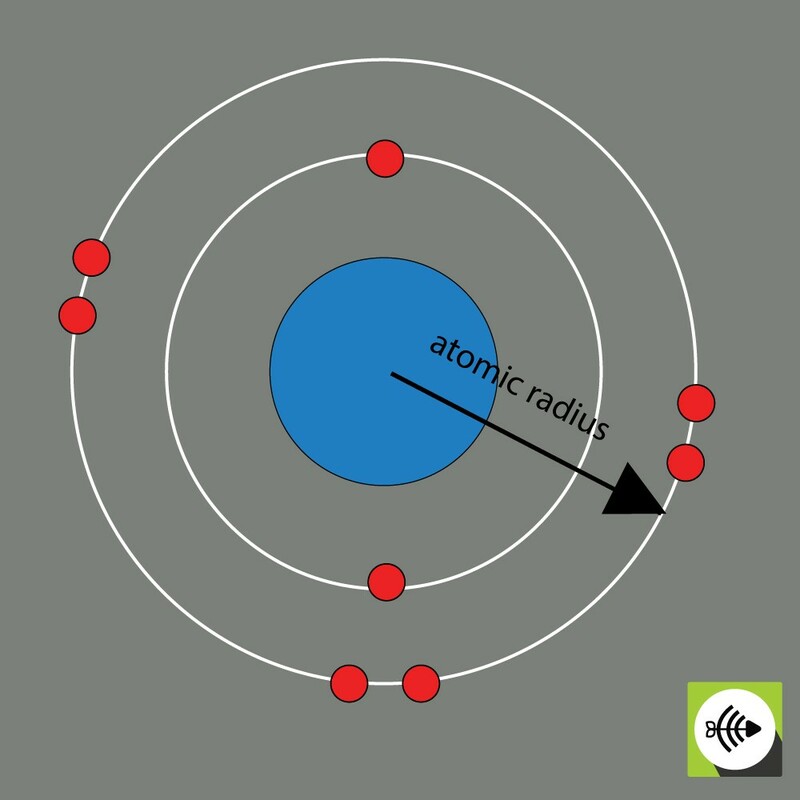 The atomic radius of a chemical element is usually measured by the distance from the center of the nucleus to the boundary of the outermost layer of electrons. The bigger the atomic radii, the weaker the electronegativity. 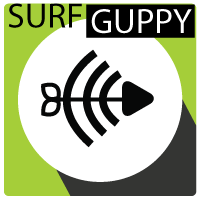 What is electronegativity measured in? 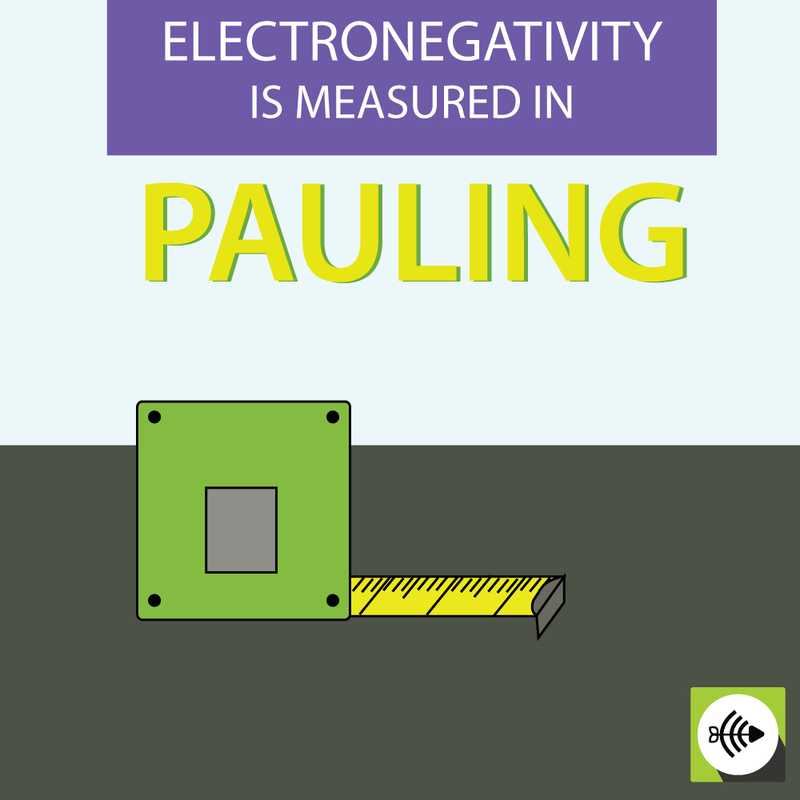 The most common measurement for electronegativity is the Pauling scale, designed by two-time Noble prize winner Linus Pauling. Electronegativity scale for elements tell how strong each element (relative to each other) can attract electrons to iteself. 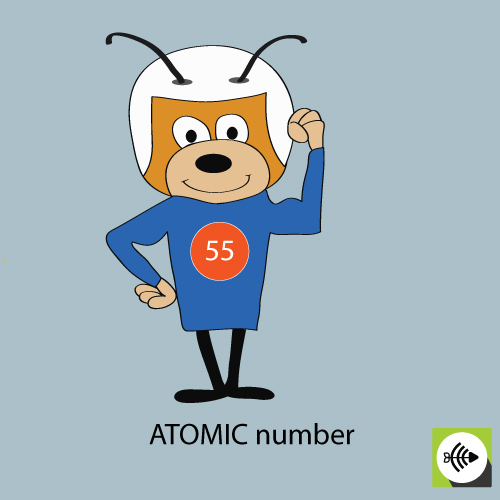 The higher the electronegativity number, the more the atom will attempt to pull electrons to itself. Why is oxygen more electronegative than nitrogen? 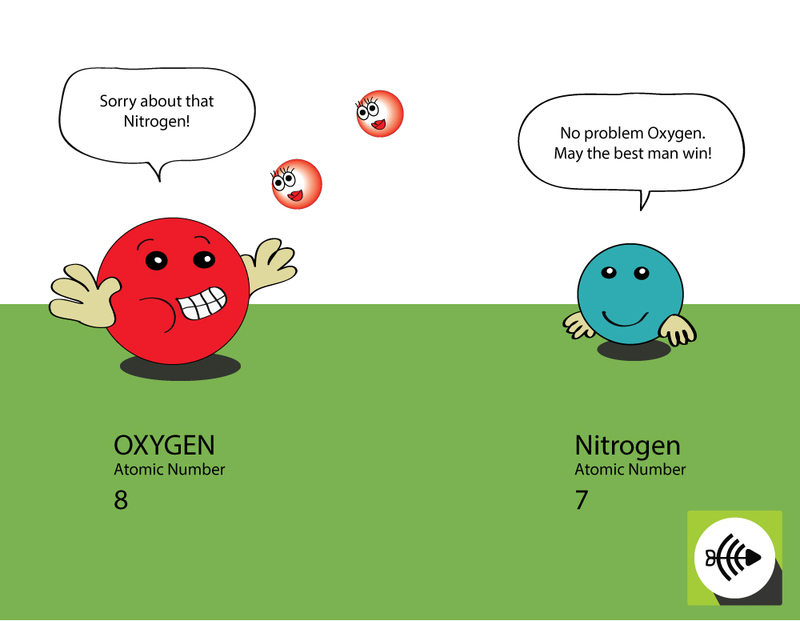 Oxygen has 8 protons in the nucleus whereas nitrogen only has 7. 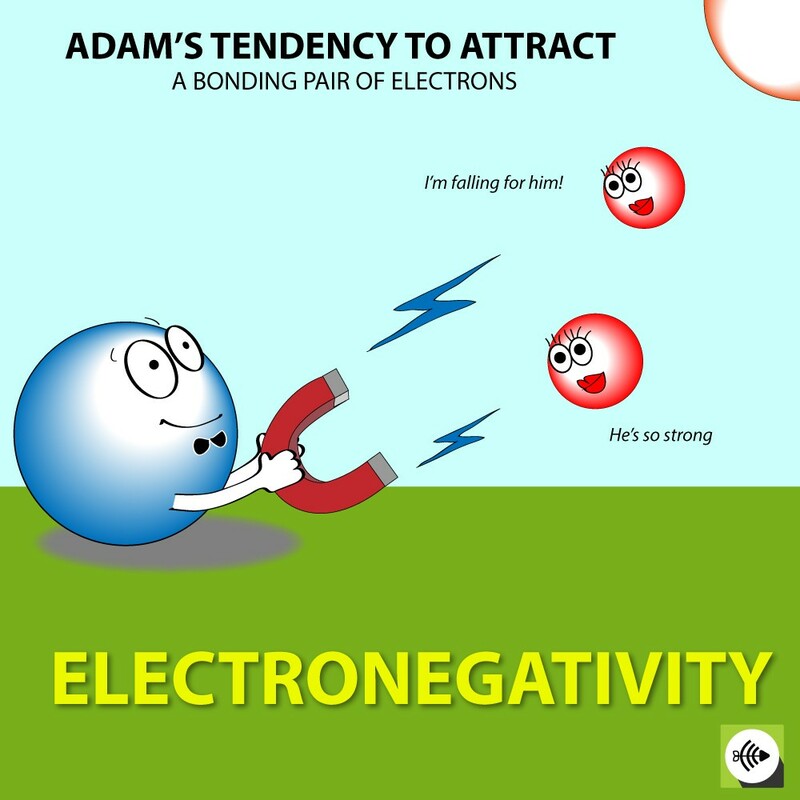 A bonding pair of electrons will experience more attraction from the oxygen’s nucleus that from nitrogen, thus the electronegativity of oxygen is greater. 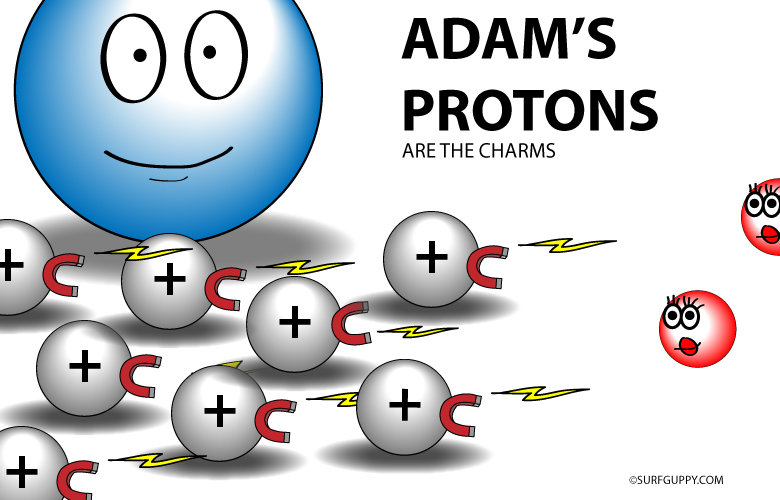 The positively charged protons in the nucleus attract the negatively charged electrons. Why is sulphur less electronegative than oxygen? 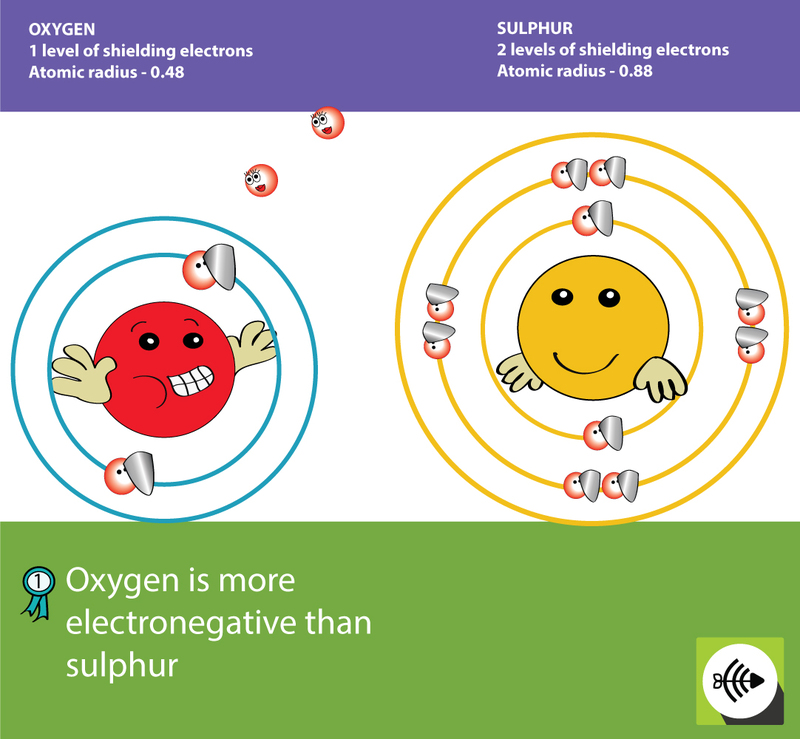 There is one layer of shielding electrons in oxygen whereas in sulphur, there are two layers. Sulphur’s bonding electrons are in the 3rd-level and shielded from the 16 protons in the nucleus by a total of 10 electrons in the 1st and 2nd level. 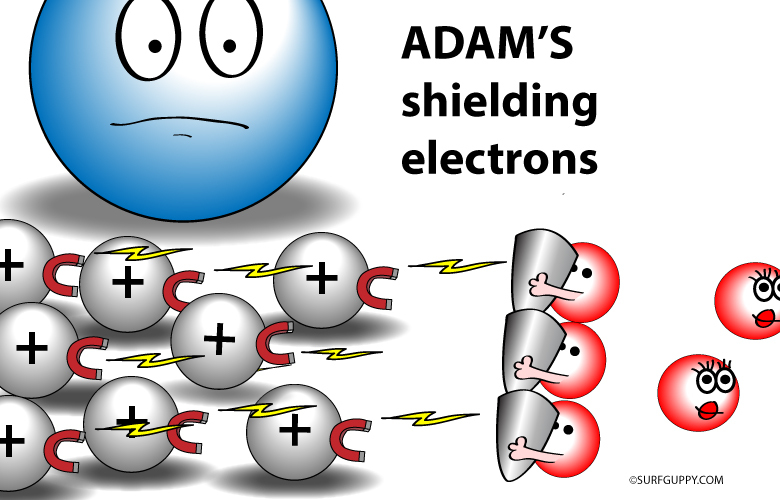 Oxygen’s bonding electrons are at the 2nd-level, and shielded from the 8 protons in the nucleus by the 2 electrons in the 1s orbital. Sulphur is less electronegative than oxygen because in the sulphur element, the bonding electrons (or valence electrons) are further from the nucleus, so they are less tightly held by the forces of its protons. 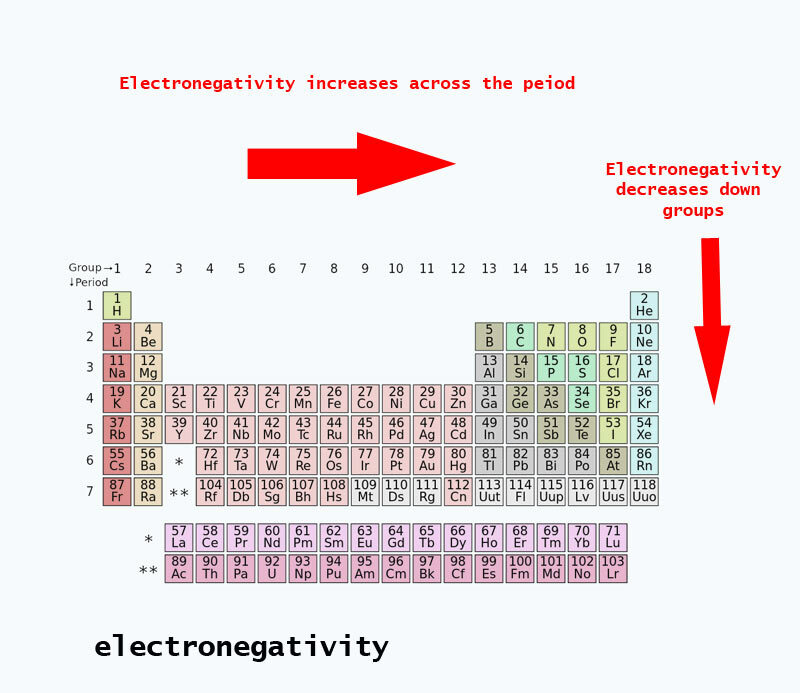 The smaller atom has a higher electronegativity. 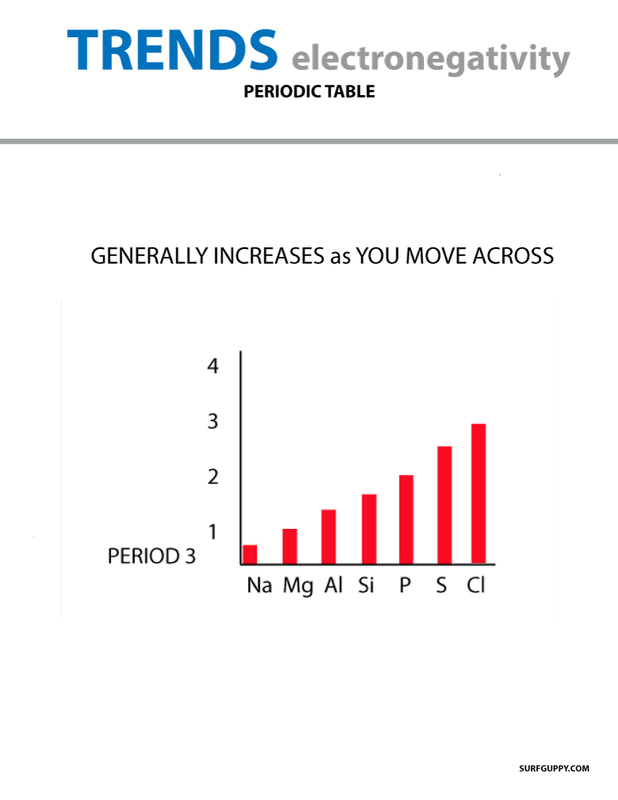 When you move across the period table, the number of protons in the nucleus increases, therefore the electonegativity increases. 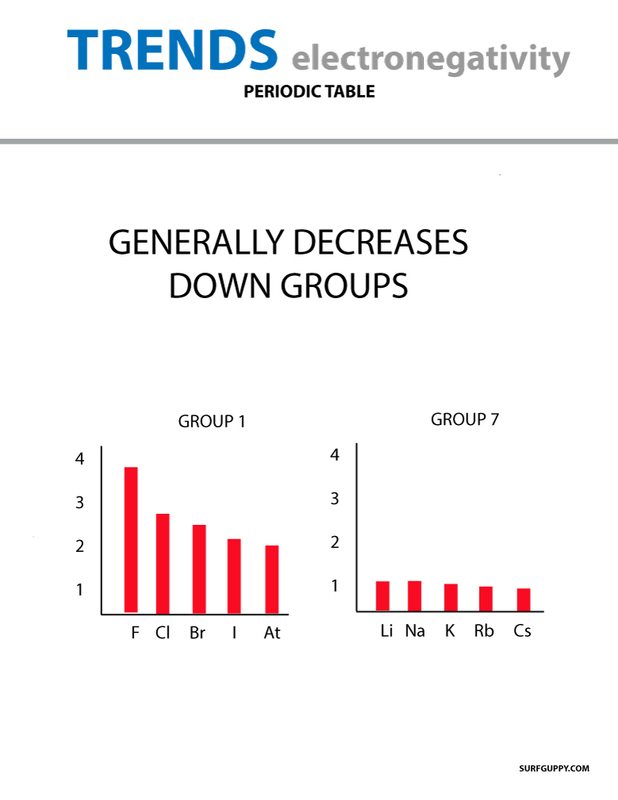 When the atomic number increases down a group, there is also an increase in the valence electrons and nucleus. The atomic radius is greater therefore electronegativity decreases.